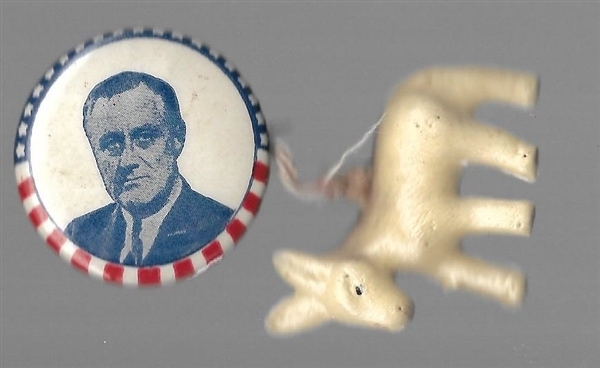 Franklin Roosevelt 1 ¼ inch stars and stripes celluloid with blue portrait. This pin comes attached with its very own plastic Democratic donkey charm. Excellent condition.